Well 2016 has just flew in... I cant believe this is the last day of it. What a year it has been!! A lot of things have happened in this last year, some good and some bad but I am leaving the year on a high. So many firsts happened in 2016. I set up my first blog, my first nephew was born, I met so many amazing people and for the first time in years I felt genuinely happy. I have said this for years but my head is finally in the right place and I have all the motivation and support I need. I have always been a big girl and thankfully my weight has never held my back, but these last couple of months I have started to struggle with sore knees and a sore back so I have to make this my year to shed the pounds. I had a very traumatic event happen in 2016 because of my weight and I never EVER want to be in that situation again. I want to be able to hold my head up high knowing I am a better person because of past events. My head has been all over the place this past year and that is due to a lot of different things. I never speak about it but depression and anxiety ruled a lot of my past year so I want to work on putting myself first and taking control of this. My physical health is terrible too. I suffer with an auto immune disease and it is all over the place, so I need to work hard on getting it under control this year. I am loving my little blog but I really need to get myself out there more, I have met some amazing people through all the different media outlets but I want to meet and get to know so many more. I really want to work hard and take my blog to the next level. I want to post more regular and have a more scheduled approach to everything. My snapchat, Instagram and blog are going to be the three platforms I work on the most as these are the ones I find most enjoyable. If any of you know me in real life, you will know I am ALWAYS late... it doesn't matter how early I get up or how well I think I am prepared I always manage to be late. So in 2017 I want to plan everything a bit better, know where things are without getting into a panic and have my s**t organised. Finally I want to just have lots of fun. I want to look back at the year and think to myself I really enjoyed everything I did and wouldn't change a thing. I want to go on lots of day trips, make lots of memories, play silly games with my cousins, laugh until tears are streaming down my face and just life my life to the fullest. So my question to you is... what are your plans for the coming year? Do you make resolutions or do you prefer to just take each day as it comes? I was recently contacted by Ballymoney Chamber of Commerce and asked if I would like to go around some of the shops in Ballymoney on a Saturday to see what they have to offer for Christmas and to see what all the little town has to offer to everyone. I have lived in Ballymoney all my life so I had a good idea of most of the shops. However like most towns shops come and shops go so there is always that new shop you haven't been in before. I try to shop local as much as I can as it is soo important to support the little family run business' that have been here for years. It is such a competitive world we live in today so I'm guessing it can be hard for them to stay afloat. I was told that me and the lovely Louise would be going round the shops and then there would be a Santa parade in the town at 1pm. I was soo grateful to have been asked to cover this. 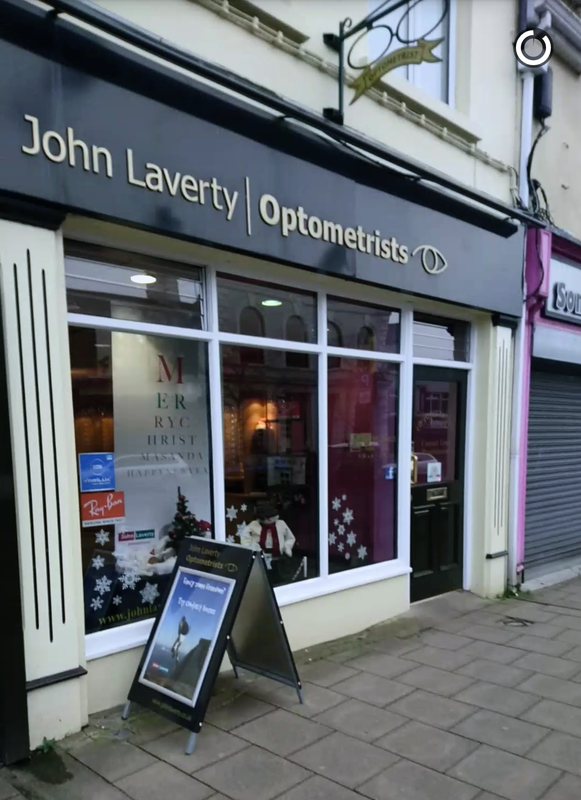 So my first stop of the day was John Laverty Optician. On arrival I was greeted by Michelle who asked me to go over to a little desk and we talked threw how my eyesight had been and if I was looking for a change of glasses etc. 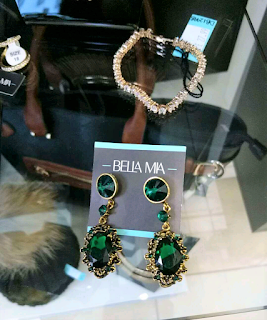 We then had a look at some of the frames and I was pleasantly surprised at just how many big brand names they stock, such as ray ban, lacoste, Chloe, joop. The frames are all laid out beautifully its so easy to see them and they are not all cluttered. I tried on loads but settled on 5 different ones I liked. I have had the same glasses as 1 year so I'm thinking about a little change. Michelle was super helpful and really knew what styles suited my face shape. She made the experience really relaxing. Lorna the optician then called me for my eye examination. I was led into a spacious little room where I sat on the seat and the eye test began. Michelle is so down to earth and we had brilliant wee chats which put me at ease and made the experience much more enjoyable. There was a slight change in my eyes, so I'm glad I got the eye test :) When I came out of the room Jonnie from fUSe fm and Louise were waiting. I showed them the glasses I had picked out and got there opinion. We narrowed it down to two frames and I'm still deciding which one I like best. 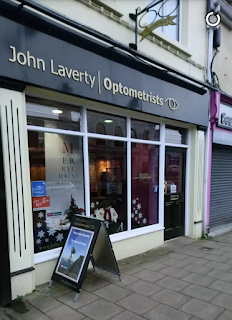 The staff in John Laverty Opticians could not have been nicer from the minute I walked in the door to the second I left I was really taken care off. They all are soo knowledgeable and nothing is too much bother for them. After that we went for a little bite to eat in Ground. It is soo nice in it, nice and spacious with lovely decorations. The smell of coffee as soon as you open the door just hits you. Then my eye found the buns and cakes... oh my goodness they are soo appealing I didn't know what to choose. I finally decided on a snickers slice and a smoothie. Again the staff are all so pleasant and all had a smile on their face, which makes for a better experience. The food was soo tasty and the manager even came over with complimentary Christmas goodies for us to try... I left with a full belly and a happy girl. 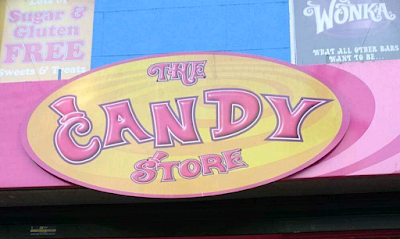 Next up we went into The Candy Store to see what goodies they sell. 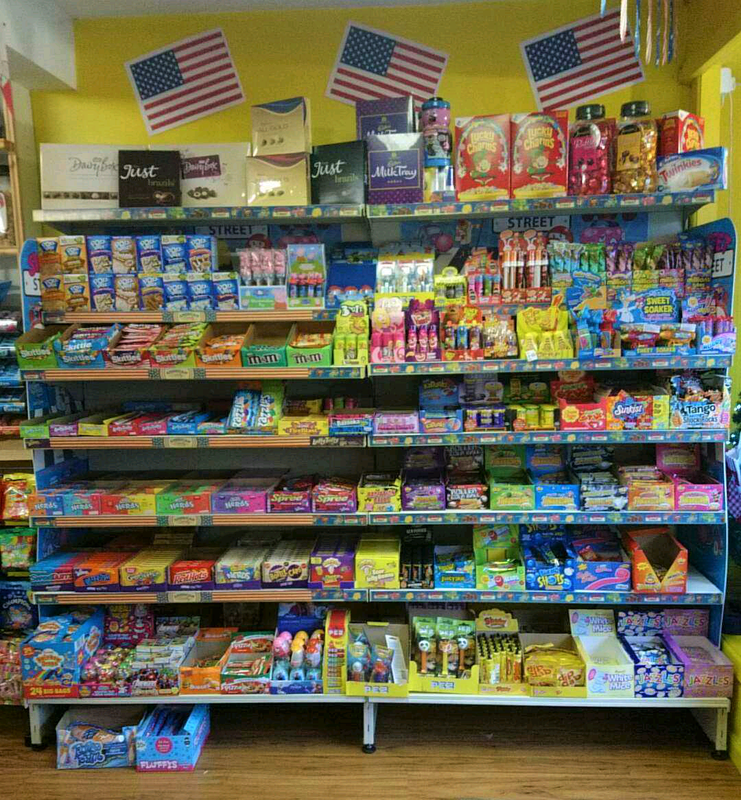 I was literally like a kid in a sweet shop! 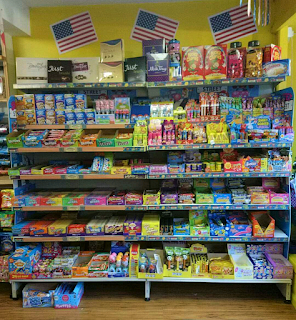 They have everything you could EVER need .. all the old fashioned hard boiled sweets, the jelly sweets, chewy sweets, American candy ... 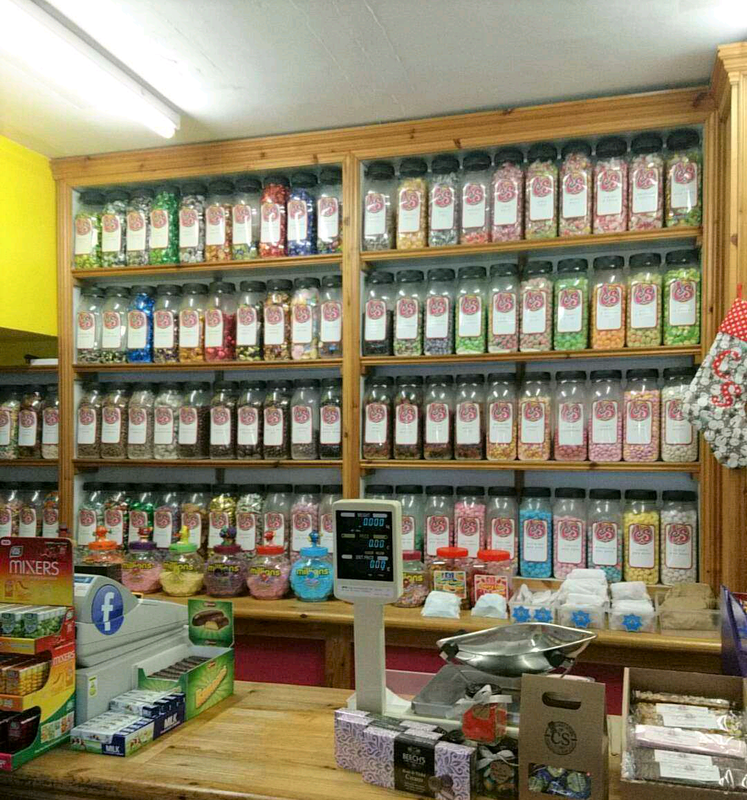 I didn't know you could get so many different sweets. They also have gluten free candy which I thought was a brilliant idea. I also didn't know that The Candy Store make up hampers to suit your budget, so you basically tell them how much you want to spend, what you like/don't like and they make up a lovely hamper for you. Perfect for that hard to buy for person at Christmas time. Across the street now to Bumble and Bee. 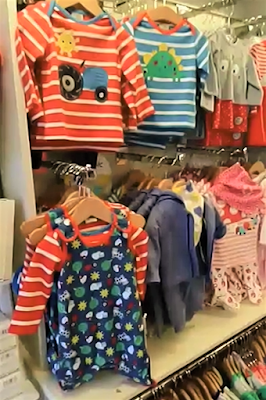 It is a child's clothes shop and I had never actually been into it, so I was thrilled to open the door and see so many nice bits and bobs. They have so many different brands and clothes to fit children from premature to older babies. They also stock tights, hats, gloves, welly boots, Christmas outfits and much more. 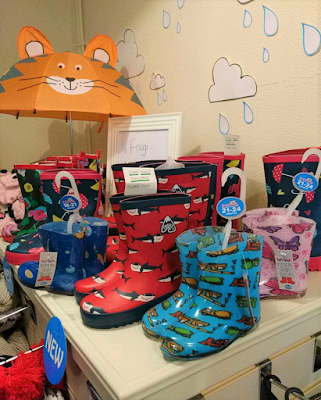 If you want that something different for a child this Christmas then I would definitely recommend going into Bumble and Bee. The next stop on my tour of Ballymoney was the lovely Bella Mia, a jewellery and gift store. I have been in here numerous times but didn't realise they had an upstairs to the shop. 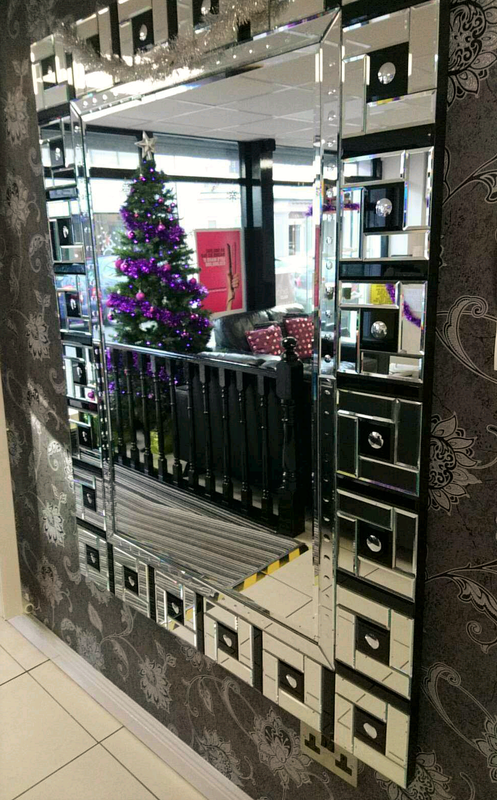 Its maybe a good job I didn't know that though as when I went upstairs the sparkles and bling had me wanting everything. My Christmas list has now doubled in size lol. They have loads of different brands on offer and have something to suit everyone. Not only do they have a huge selection of jewellery they also have hangbags, scarfs, gift cards. It is such a brilliant shop with very pleasant and helpful staff. I was made to feel very welcome and the girls were soo nice asking if I needed any help etc. The store itself is soo modern and fancy inside. Really well laid out with glass shelving and accessible tables all the products are easy to see and you are not afraid of knocking something over. After all of these lovely shops it was down main street to Top Ten Hairdressers, where I was greeted by Aaron. He really knows his stuff, he has such a brilliant knowledge of the products and of the shop itself. He told us that Top Ten have been in business for 47 years. I think that in itself says soo much about the shop. Aaron then showed me some of the new products they have in store and when I asked him about their GHD range he was able to tell me soo much information on the product. You could just tell how passionate he is about his job and his love for the customers. I will definitely be going in to Top Ten to get my hair done in the future. 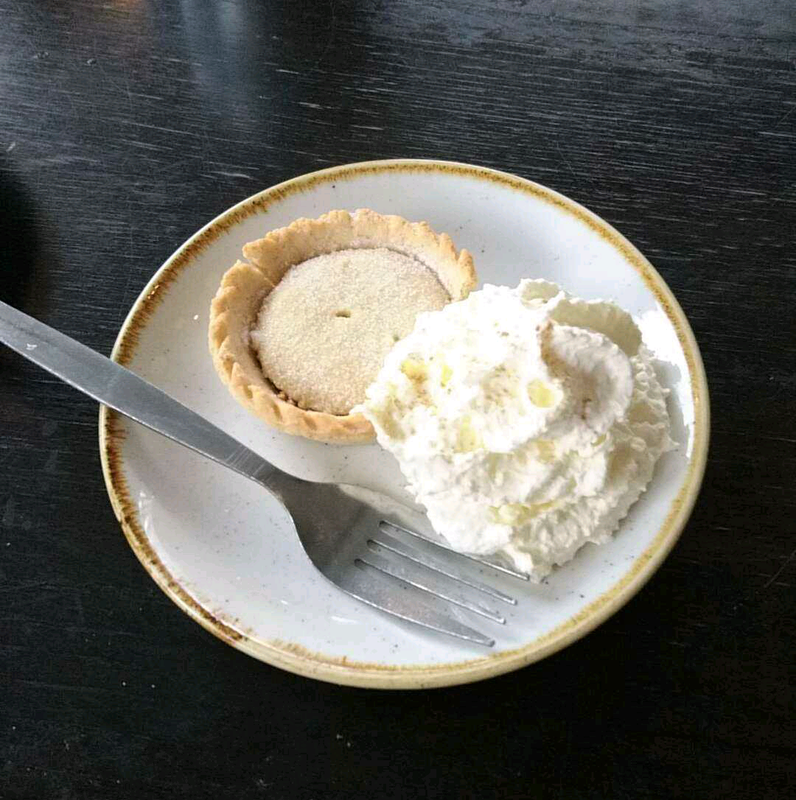 Finally on my tour of Ballymoney we stopped into A Bite Above, which is a family run café. I have been in here many times before and have never had a bad experience. 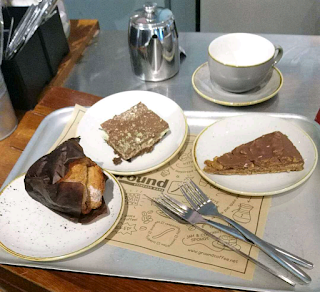 From the second you walk into the café you are taken care off. I must admit I was stuffed from my food earlier but did manage to squeeze in a little burger. As always the food was top quality and served with a nice side garnish and sprinkled with herbs. They really do take care in their presentation. 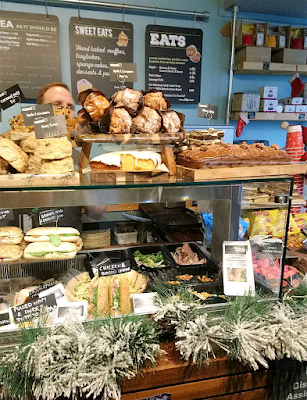 If you are ever hungry and want something that is tasty and wont break the bank then A Bite Above is definitely high on my list of places to go. I had such a fantastic day in Ballymoney. I walked away with a really happy heart knowing that I live in such a beautiful and pleasant little town. The staff in all the shops were so passionate and knowledgably that it wasn't just going shopping it was a truly special experience. I would really ask all off you lovely people to try and shop local as much as possible not only now at Christmas but the whole year round. Yes its easy to order of the internet and have it delivered to your door, but the buzz and feeling you get from shopping local is one I want you all to feel. Lastly I want to say a massive thank you to Ballymoney Chamber Of Commerce and all the staff from all the shops I visited. You made me a very happy girl this Christmas. When I was asked if I would like to try some of the Crabtree & Evelyn Christmas range I was delighted as any products I had tried of theirs before I had always been impressed with. I had a look at some of them items in the range and new what I would like to try. I don't know about any of you folks, but as soon as the colder weather comes my skin goes crazy dry. My lips, face, and hands are always the worst. I literally feel like sandpaper.. how attractive! The packaging is just beautiful, it has a real old fashioned Christmas look to it. I was impressed before I even tried the hand creams. There are different trios all with different scents, I was given the pack which contained La Source, Gardeners and Caribbean Island Wild Flowers. The colours on each of the hand creams is nice and matches the name with La Source being blue, Gardeners being a copper and Caribbean Island Wild Flowers being white. The scents are all divine.. they are really strong but not over powering. On application the creams are rather thick and silky but they rub in really easily and absorb fast. The were not at all sticky or gooey which can sometimes happen with hand products. My favourite would have to be the Caribbean Island Wild Flowers. It has an earthy smell that's woody and perfect for this time of year. The Gardeners cream has a nice lavender scent and the La Source is really fresh, almost like a sweet smelling aftershave. All 3 creams are a decent size at 25g and priced at £15.00 for the set I think this is fantastic value as you are getting 3 good sized creams. You can pick up this gift set HERE or why not have a look at all the other gift set with lots of different scents to choose from. This is a different post for me... usually I am reviewing products or showing new things I like. However being a bigger lady I understand how hard it is to get nice Christmas jumpers that don't cost the earth. Primark is great, but with there sizing stopping at a 20, a lot of us bigger girls are left out. 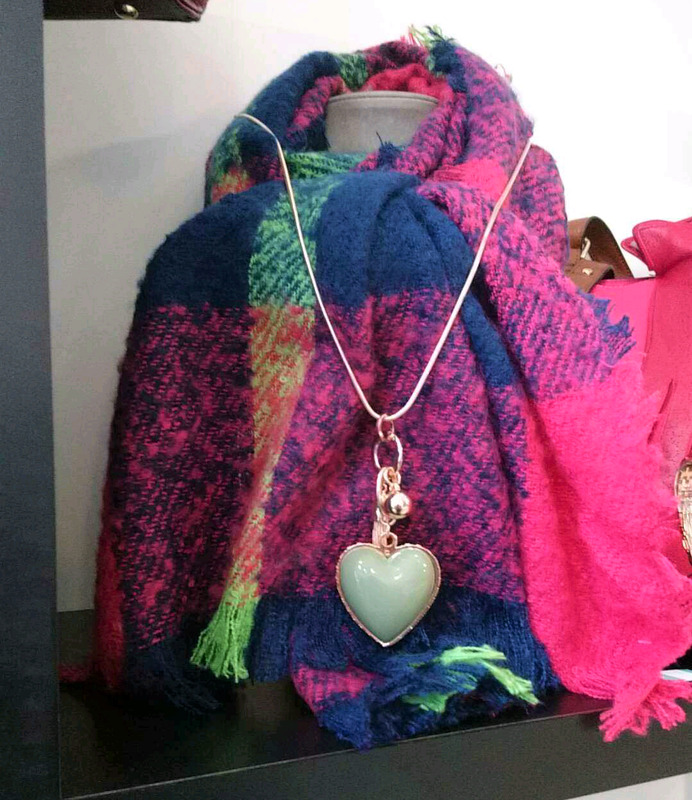 I have put together my favourites from a couple of different plus sized shops. 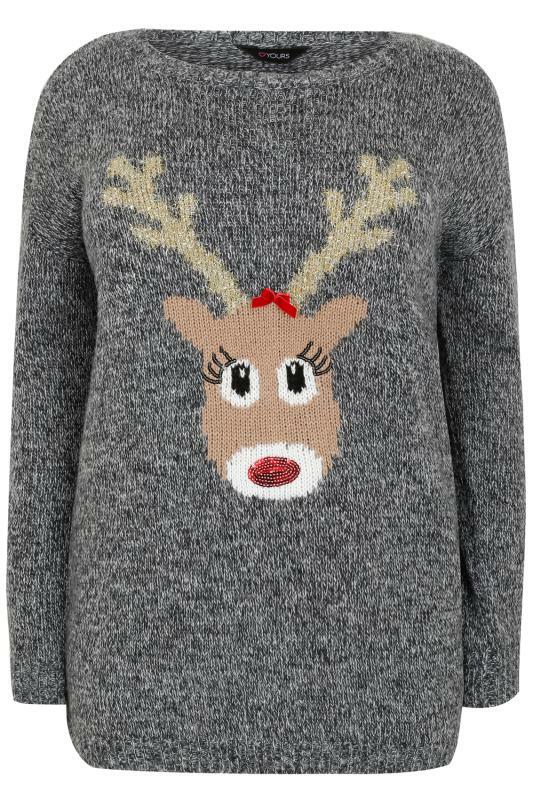 Grey & Multi Pretty Reindeer Christmas Jumper from Yours clothing. I think this jumper is lovely and cute, I love the sparkly nose and cute bow detail. Its a good length so it could be worn with leggings and a nice pair of boots. 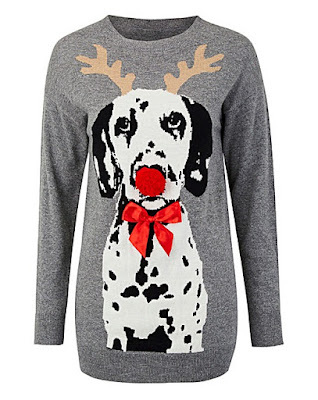 This jumper could be worn into January as it doesn't have an actually Christmas animal on it. 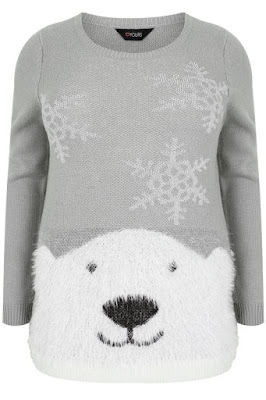 The polar bear is a super soft fluffy material. Again it is a nice longish length. One for all the dog lovers out there. The pom-pom and bow detail really stand out and add that extra touch. 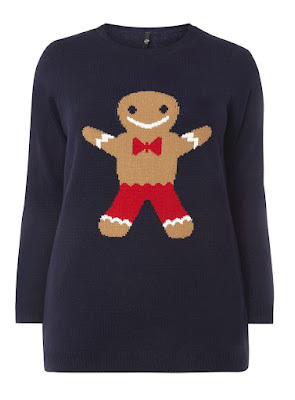 This is a really cute little jumper for the Christmas session. 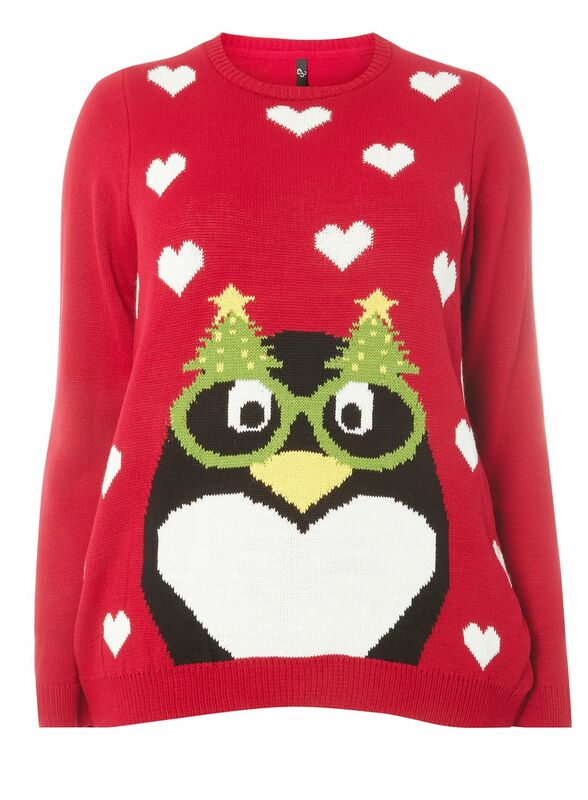 This jumper is just too cute... the penguin, the love hearts, the glasses it is just perfect for the office party or for wearing with your favourite jeans. The festive red colour makes me want it even more. If you are looking for something a little more understated, that doesn't have the pom-poms and glitter, then this is perfect for you. 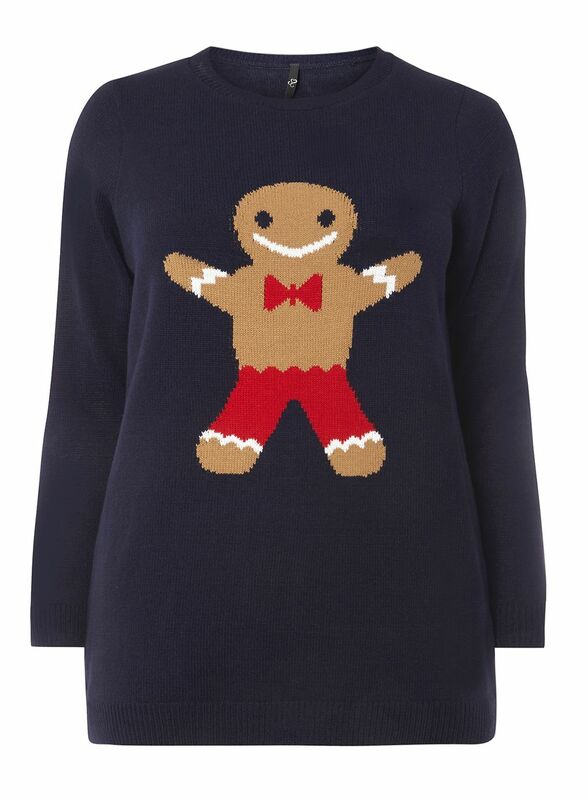 The navy colour will be lovely with jeans and boots to get you in the Christmas spirit. 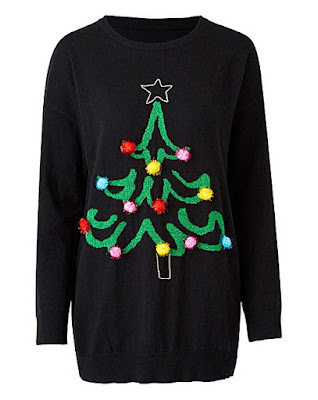 I hope you have enjoyed my top picks for Christmas jumpers and I have made it easier for you to find ones that go up to size 30/32. 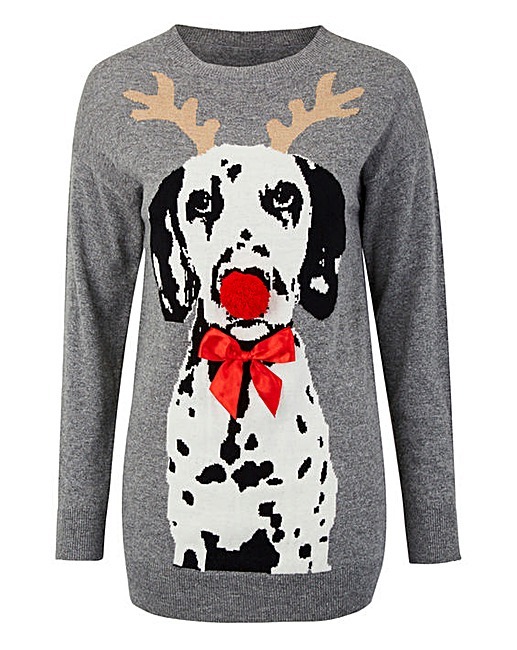 I will have another blog post up soon with Christmas t-shirts / pjs etc.. I was recently contacted by a company and asked if I would like to go and get an eléni facial. I was more than happy to do this as I have always wanted a facial but never new what type to go for. I had never had a facial so I wasn't sure what to expect, I was extremely nervous but I was put totally at ease as soon as I walked into the salon. 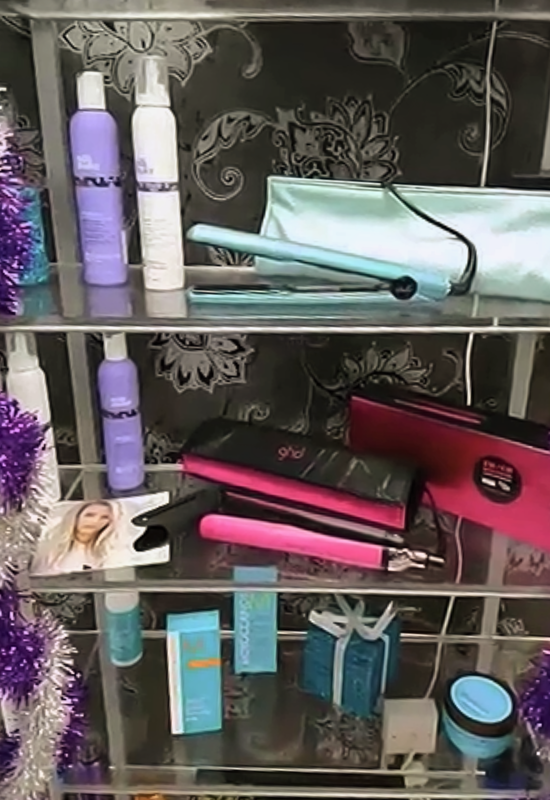 The salon is located in Londonderry in Hair Clinique, so the downstairs is a hairdressers and the upstairs is the beauty salon. The lady who was doing my facial was called Claire and as soon as I went in I was taken upstairs and into a lovely little room. The beauty room was pretty small but had a lovely relaxed feel to it. The lights were nice and dim with really relaxing music playing. I felt very relaxed and at ease from the moment I walked in. Claire ask me to get comfy on the salon bed and a lovely fleecy blanket was placed over me.. she made sure I was comfortable and happy before she started. I was very happy to start the facial and really interested in what was about to come. I was asked how my skin was and what products I usually use and if I had any problem areas. I told Claire because of medication my skin is mostly dry but the odd day it would be oily. We agreed that my skin needed hydration so Claire decided the eléni 'Hydrate & Nourish Facial Treatment' would be best suited to me. The first step of the facial was a deep cleanse where my skin was basically prepped for the following steps. The cleanser was nice and fresh, Claire then washed it off with a hot flannel. I was starting to really enjoy being pampered. Then I had a deep exfoliate put on my face and again Claire rubbed this in, left it for a couple of minutes and then washed it off with a hot flannel. The exfoliator was lovely as it had a good grainy feeling but wasn't harsh on the skin. Next up we had a hydrating mask, Claire applied this and while it was working its magic I was given an amazing hand massage. I was soo relaxed I could have fell asleep, it honestly was the nicest feeling in the world, again Claire washed off the mask with a hot flannel, my skin was feeling great. To finish the process Claire applied the eléni Intensive Stabilising Moisturiser to my face and rubbed it in using butterfly strokes. I was aware the facial was coming to an end and I didn't want it to stop, I was really enjoying the whole experience from the music to the lotions and potions used. I walked away smiling from ear to ear, I was soo impressed with my facial and I cant believe I have never had one before. I will definitely be back for another soon. My skin was glowing and felt soo hydrated, people actually noticed and asked during the next week what products I had been using. If you have never been for a facial, I cannot recommend getting an eléni facial enough. Over 60 Salons and spas across Northern Ireland and Ireland offer them. The eléni range is exclusive to salons and spas. If you are around the Londonderry area, definitely pop into see Claire as her service was first class. She could not have been nicer, and was just a really lovely girl. I was sent out the Ren glycolactic radiance renewal mask to try out. I have heard brilliant things about this brand but had never actually tried any of their products. As always I researched the brand and was interested to see the results from this mask, as I have problem skin. The Ren glycolactic radiance renewal mask is said to be a gentle peel that contains a potent blend of bio actives to renew the complexion, reduce the appearance of fine lines and dramatically improve skin tone. 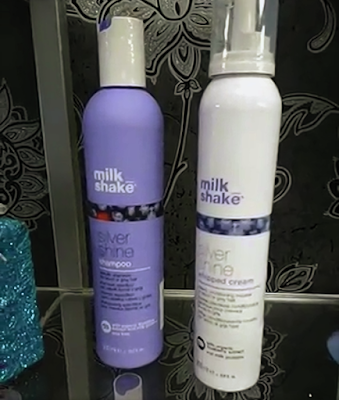 The product contains natural fruit extracts including passion fruit, lemon, grape and pineapple. All of which are to help clear the skin and give it a nice clean feel and appearance. I wanted to really test this product, so I used it when my skin was dry, oily, spotty, combination and I have to say I was super impressed with the results. My skin felt soo good after using the mask, especially when my skin was on the drier side it really give me a radiant glow! It says to use this mask weekly, and that's what I did. I have given it a real good test and honestly when this bottle runs out I will be repurchasing. What I loved was the fact you got a little muslin cloth along with the mask, I am a real sucker for things like this and just feel it gives you the best results, even though you are only using it to wipe the mask off. I like to use a separate cloth for all my different face bits and bobs eg oils, scrubs and masks, so the fact you get a little cloth with this made me a happy girl. 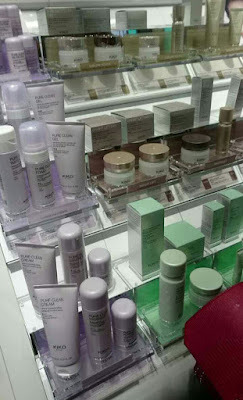 You can get the glycolactic radiance Renewal mask online from Ren Skincare, while your there why not have a browse at all the other items from the brand. Have any of your used this mask before, or anyother products from the brand? I would love to hear your thoughts. Prepare to fall in love with Platinum’s hottest new autumnal hair colour – Pumpkin spice. 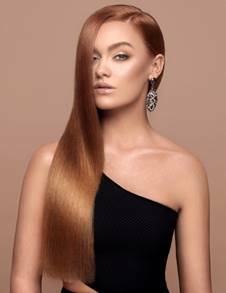 Copper hair has long been a coveted shade and Platinum hair extensions are a great way to rock a different colour, without having to commit your own hair to a certain colour for too long. Pumpkin Spice combines gorgeous rich, copper-toned shades with subtle hints of gold – the perfect look to take you from Autumn to Winter. With an extensive range of 27 rich & luscious hair colour shades, Platinum Prestige combines different shades together for seamlessly blended finish. Using a balayage technique, Platinum achieves the perfect balance between warm blonde and red hues for the perfect pumpkin spice shade. Combining these gorgeous colours results in a light-reflecting effect that gives the hair a sublime, luminous shine. Traditionally the balayage process is done in stages to avoid hair damage, Platinum provides the end result immediately with their seamless balayage blend. Preventing the risks of over-dying your hair by ensuring hair is matched perfectly to your hair extensions. Incorporating only the finest luxury Italian, pre-bonded human hair, Platinum Prestige’s voluminous strands come in 22 inch lengths. So what are you waiting for - Spice up your hair this Autumn with Platinum Prestige. Platinum Prestige is available from their Grafton Street salon. Platinum also offer brushes & products that will help you maintain your extensions at home available online from platinumhumanhair.com. Platinum offers trend ready hair With prices starting from €299. I really hope this isn't a wind up was my initial thought when I seen on social media that Kiko Milano was coming to Belfast. I have always loved the look of their eyeshadows and lipsticks but I'm the sorta girl that likes to see an item in front of me before I buy it, so I had never ordered online. Then when a post appeared on facebook of the poster on the outside of the shop all my hopes were confirmed ... eek kiko was opening in Belfast!! 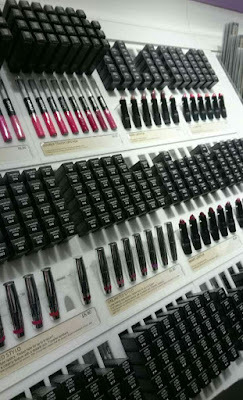 One thing that really bugs me is when you go into a makeup shop and all the items are dirty/grubby and some missing. I don't even stop to look as there is absolutely no way I am gonna swatch them, to see what the colour payoff is like etc.. so I decided that I would get up bright and early on the day of kiko opening to see around the makeup first. Its the little things in life that keep me happy! So off I set up to Belfast at 7.00 as its an hour drive for me and I got there and parked for just after 8.... When I was walking to Kiko I had no idea how many people would be there or if anyone was there, I was actually like a kid with excitement. The store wasn't opening to 10.30 so it was a long enough wait but thankfully it was dry and not too cold, slowly but surely the queue got longer and more and more people kept coming. 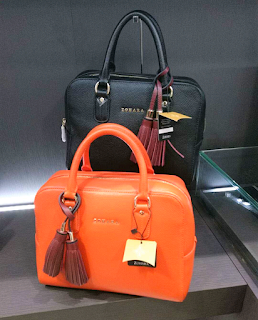 There were already other bloggers inside who had been invited to a bloggers breakfast, so they were all having a look at the products and getting photographs. A couple of people came out and gave us all some buns and then some nibbles which was pretty nice of them.... counting down the minutes till the store opened some of the staff came out to talk to everyone. I was now number 26 in the queue as school kids had bunked off school and sneaked into the line so when the doors finally opened they were only letting so many in at a time... this meant I had to wait longer to get a look around ... Boooo! Finally I got in... oh my days what to look at first... 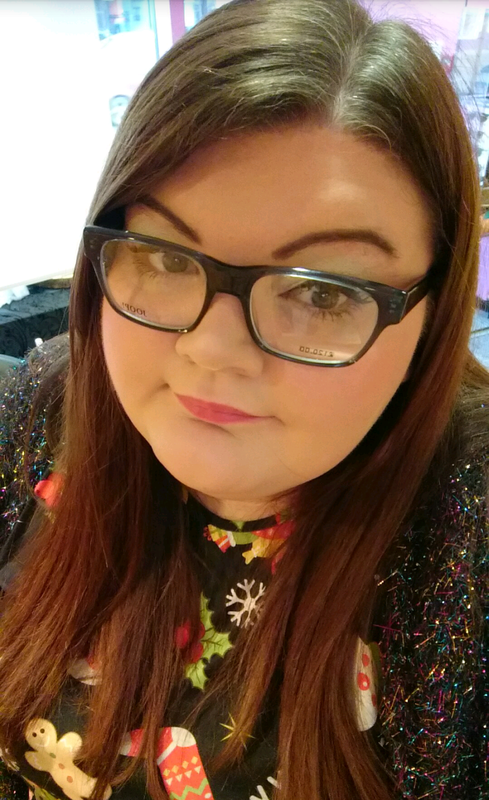 I went straight to the eyeshadows and then onto lipsticks, however it got too packed and I started to feel claustrophobic so I went to the till and quickly got out. I was a little disappointed if I'm honest as it's such a tiny shop and I didn't get to look at things properly, but I couldn't wait to try my new bits and bobs. 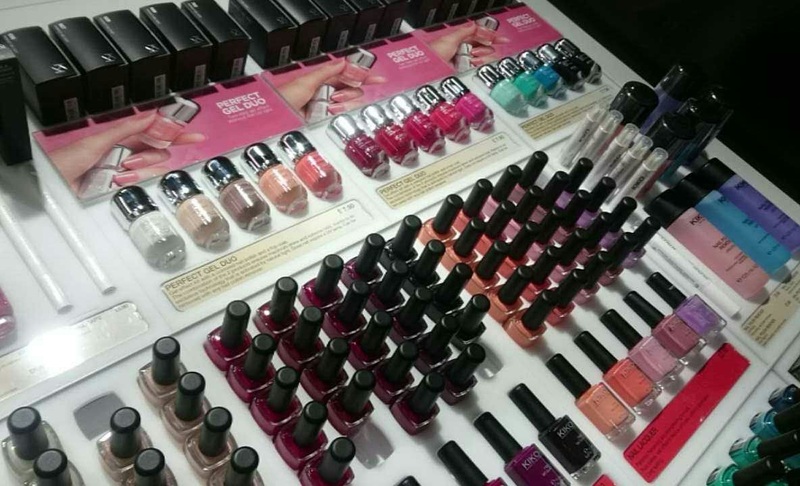 The first 200 customers also got a goodie bag which included a wet & dry eyeshadow, a nail varnish and a lip gloss. I am super impressed with the bits and bobs I picked up but I don't think I would go and queue up so early again for another shop opening as it was just too hectic. The Slieve Donard Resort and Spa in Newcastle Co.Down has been named Northern Ireland Hotel of the Year at a glittering awards ceremony in Belfast City Hall on 15th September. Stars like actor, Jimmy Nesbitt, who picked up the prize for Celebrity of the Year, and golfing star Darren Clarke, were there to see the hotel win the accolade at the Ulster Tatler Awards. A shortlist in each category was compiled from votes cast by Ulster Tatler readers, with a panel of media and industry experts selecting the eventual winners who were presented with awards. Niall Burns, Operations Manager, Slieve Donard Resort and Spa, who was there to accept the award on behalf of the hotel. I will be visiting the Slieve Donard later this year and am really looking forward to my stay. Have any of you been before? I would love to hear what you thought of the Hotel. Hello everyone... on the blog this time is a review of some stunning products from make up brand Artistry. 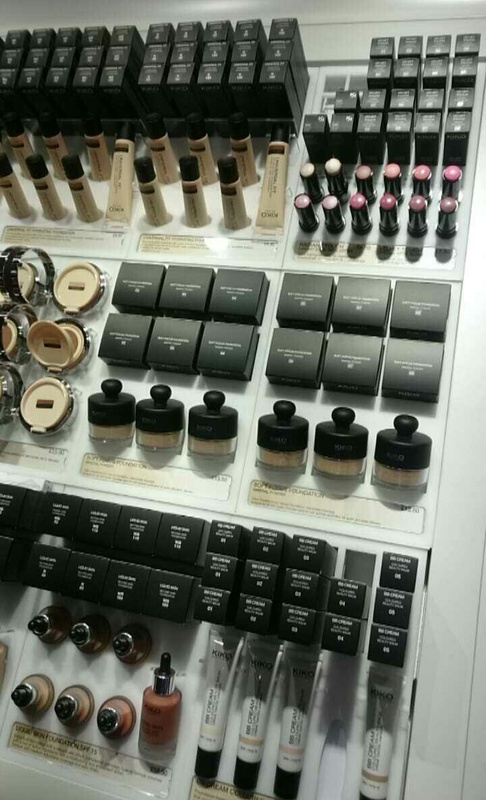 A couple of months ago I was very kindle sent out some bits from Artistry's Limited Edition Collection. I had never heard of this brand before, but was really looking forward to trying it out, as when I researched it, the brand looked very nice. The collection is inspired by the natural beauty of the beach and fronted by global makeup artist Rick DiCecca. The limited edition collection includes a sunkissed 3D face powder, a beautiful sunrise eyeshadow quad and 5 different shades of light up lip gloss, all in lovely summer colours. I was gifted 2 of the 5 shades of light up lip gloss, the 3D face powder and also a stunning blush from a different collection. The first thing I tried was the light up lip gloss. I was sent out Pink Grapefruit which is a lovely pinky colour and wild berry which is a more purple colour. The consistency of this product is just perfect, its not sticky on the lips, its not drying, its just a lovely high pigmented gloss. Usually lip glosses don't stay on my lips very long and I find that especially after eating or drinking they have vanished, however I was pleasantly surprised when I put the light up lip gloss to the test, they held up pretty well. I love the colours available in the glosses, especially the blue and orange, I will be purchasing these in the future as I think they would be lovely to wear on nights out. The light up brush is super handy and the fact their is a mirror on the side of the tube makes it so easy to re-apply on a night out or if you are somewhere with poor lighting. Would I recommend the lip gloss... yes I definitely would! Next up we have the 3D face powder, and I will admit I was a little scared when I first seen this product, I am super pale so bronzers usually don't work well on my skin, however this is now my go to product. I would actually go as far as say it is my favourite product of this year!! 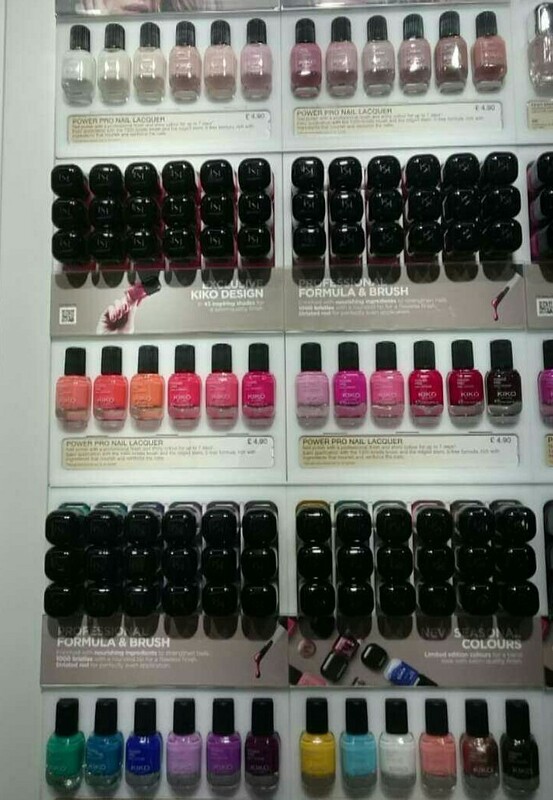 Their are 5 different shades in the compact, ranging from pinks through to browns. This makes it suitable for all skin types, which I think is a big plus point! The lighter shades can be used on their own as a highlight, however I like to sweep my brush over all 5 shades to give a subtle bronzed glow to my cheekbones. I have also used the face powders as eyeshadows and was super impressed at how well they blended. They are a lot nicer than some of my actual eyeshadows!! If you only buy one bronzer/highlighting face powder this year, then I would definitely suggest trying the 3D face powder, as I don't know how anyone wont like it. Finally I was gifted a lovely blush from Artistry, the shade I got was dusty mauve which was a deep dusky red. I love darker colours for my cheeks as I find light colours just make me look washed out. Again this is a fantastic product, that blended soo well on my skin. A little goes a long way with this and the first time I used it my cheeks would have been visible from space, as I was a little heavy handed with my brush. The blush is perfect for a day time or a night time look and teamed with the 3D face powder, you really have a winning combination. 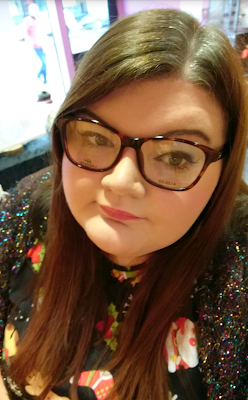 I am so glad I was given the chance to try products from Artistry, as I can firmly say it is now one of my favourite brands and I will be keeping an eye out for any more collections that are released. If you have any questions on any of the products I mentioned please don't hesitate to get in contact and I will try my best to help you out. You can also check out other items from Artistry on their website. A couple of months ago, I was very kindly asked to attend the Tourism NI cheese and beer event, which was held in the Spaniard Bar in Belfast. As I am not a beer drinker and I was driving I asked could I possibly bring a plus one and was delighted when they said yes. So I decided to bring along Christopher (my other half) who loves a beer from time to time, so thought he would be perfect for sampling the products. I had very stupidly got the wrong venue, so had an embarrassing moment in the Europa asking for the event to be told nope I was in the wrong venue, quick check of my emails and realised it was in the Spaniard lol, I then had to leg it across Belfast city centre at rush hour to the event.. However, me and chris made it, all be it a couple of minutes late, looking very sweaty and warm lol. 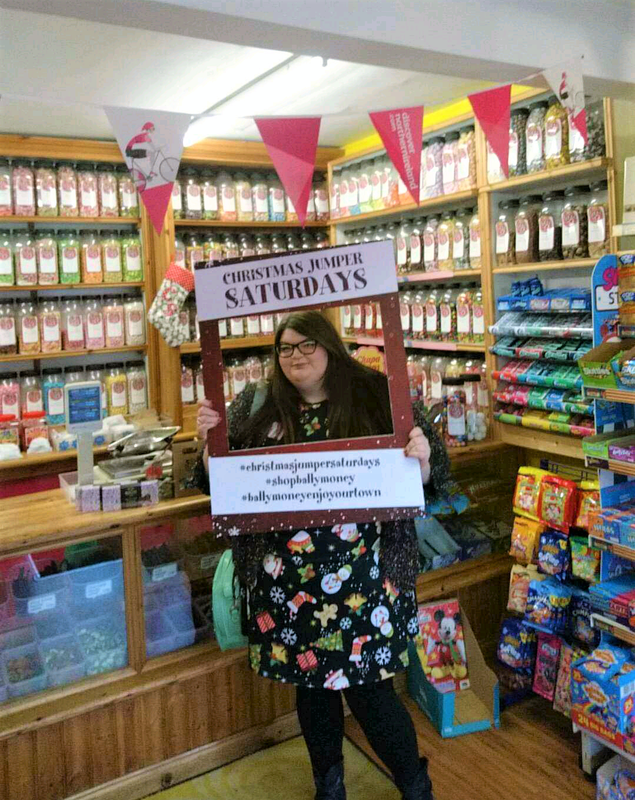 We were greated by the lovely Ciara who had asked us to the event and told to just go and mingle and try out the different cheese's and beer's on offer. Christopher tried a drink called the 'yardsman' which is a double stout brewed in Belfast. He said it had a coffee taste, with a slight resemblance to Guinness, however tasted fresher and not as heavy. He also mentioned that you could taste that it had been brewed a lot longer than the average stout. Christopher was pleasantly surprised by how nice it was, but did say that half way down when it started to get to room temperature it wasn't as nice. After trying yardsman, we went over to the cheese tables to try the varies cheese's on offer. There was a couple of different companies displaying their produce from Northern Ireland. The first cheese we tried was Kearney Blue from Kearney Cheese Company. I rather liked this blue cheese and I usually don't find blue cheese overly appealing. It wasn't hard but wasn't soft it was just perfect. The taste was not overpowering like a lot of blue cheese's are. Christopher also liked the Kearney Blue. In his opinion it would be delicious with a cracker. Next up we tried some cheese from fivemiletown creamery. The people who represented the company were unable to attend the event, however they had a table set out with samples and info for people to take with them. I tried a couple of different cheeses but wasn't overly impressed with them, they just tasted like shop bought cheese, nothing stood out in them. Farmageddon Brewery were also in attendance and had a wide range of their craft ales available to sample. Christopher tried a sample of all the varieties Farmageddon make. His favourite was the double pale ale. He said that it had a soft fruity taste, that wasn't overly strong. He thinks it would go well with a steak pie as it has a slight kick to it. It was a really enjoyable event, and I learnt so much information about local produce. I think it is great to support local companies and I will definitely be purchasing from some of these companies in the future! If you want to learn anymore about Northern Ireland or any upcoming events you can find more information at discover northern Ireland.